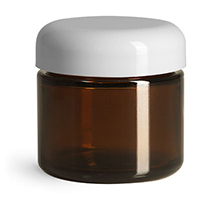 Amber glass straight sided jars are paired with white polypropylene dome caps as an eye catching and durable packaging option. 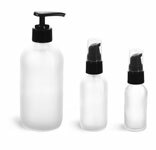 The amber glass jars offer UV protection for light sensitive products that could include creams, lotions, and other bath and body care products. The stylish white dome caps also have built in F217 liners to assist in the preservation of your products.